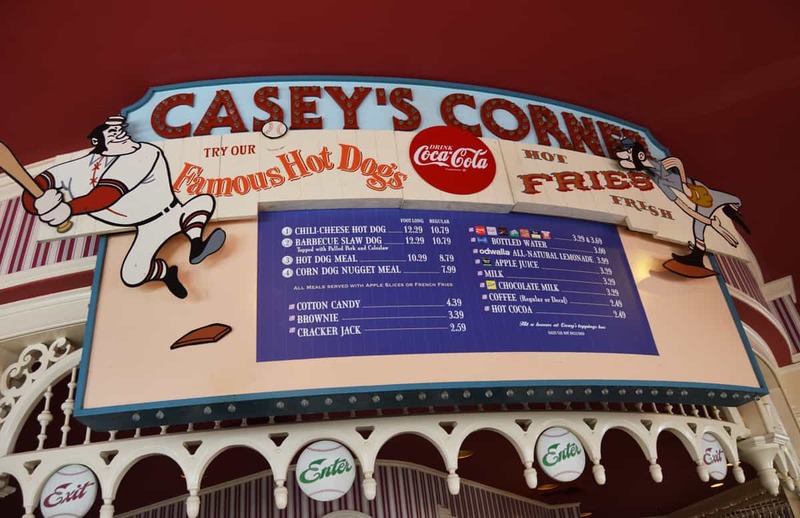 Casey’s Corner is the go-to spot for hot dogs at Disney World. Find it on Main Street U.S.A. at Magic Kingdom. Casey’s has a whimsical baseball-themed décor, and it’s known for its creative take on the American hot dog. Have yours simply with mustard and ketchup. Or you can choose the bacon mac-and-cheese hot dog, the chili cheese hot dog, or even the loaded mashed potato hot dog—no, we’re not kidding. If you’re vegan, Casey’s has you covered—try the plant-based slaw dog with corn relish and pickled slaw. The dogs are footlong and served with fries or apple slices. Most plates run $13.50 or less and don’t include drinks, but Casey’s is a great place to feed the family without breaking the bank.